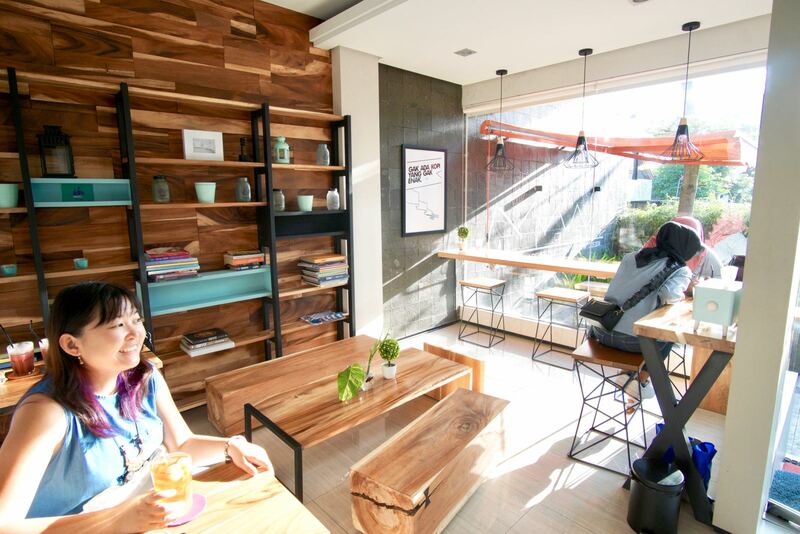 Epic Coffee & Furniture, Yogyakarta: Have a Coffee and Buy a Lounge! This is quite far north of the main tourist area of Yogya and as such, it’s not really that frequently visited by people on holiday. You will however see lots of locals hanging out it due its large garden area and comfy seating. I tried a latte here and it was pretty good, but not as good as something like Simetri. Susan’s pineapple & mint drink was refreshing, but nothing to get too excited about. The garden really is pleasant here and most people choose to sit on the patio looking out over the garden rather than in the garden itself which is in the direct sun. Wifi here is not bad, but it’s not going to be good enough for bandwidth intensive tasks. Browsing the web and doing social media works fine and I clocked the speed at 5mbps down and 1mbps up. I think prices here are too expensive for what you get. And certainly too expensive for Yogya. 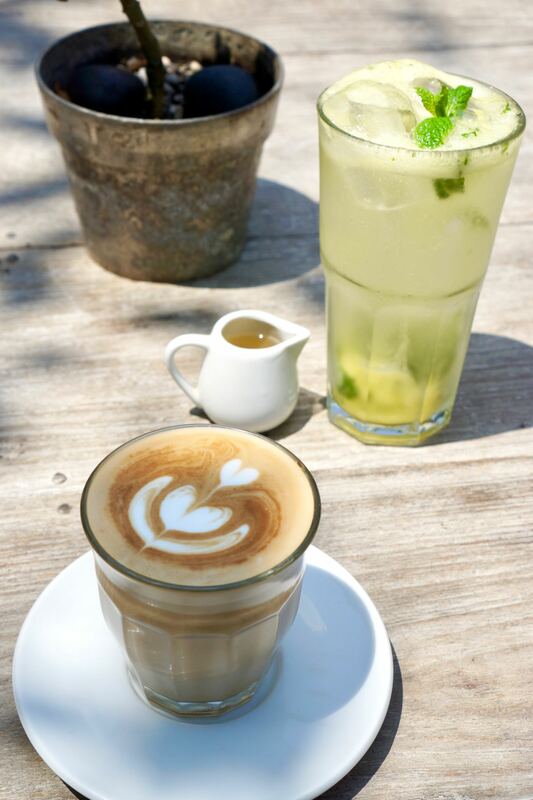 But if you’re not price sensitive, by all means come and enjoy a coffee on the terrace. 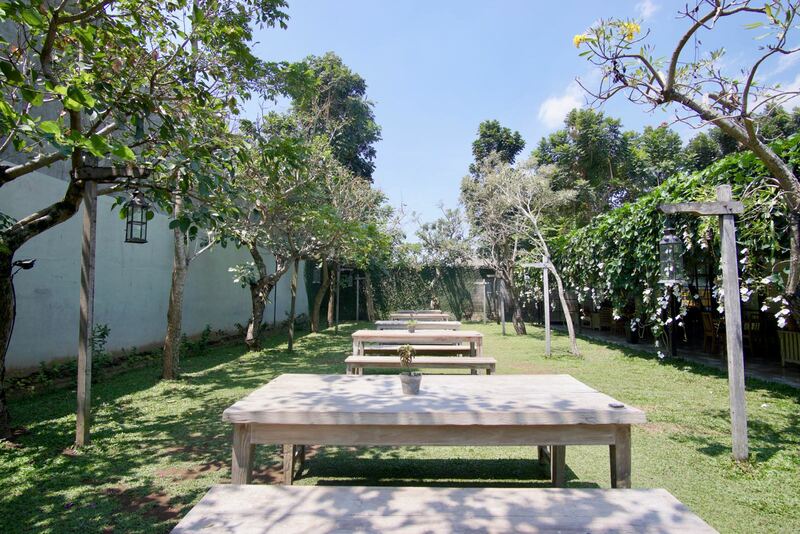 It’s a really relaxing place and great for getting out the traffic you inevitably find in the north of Yogya. Lantai Bumi is located in the north of town far away from where most visitor wander. 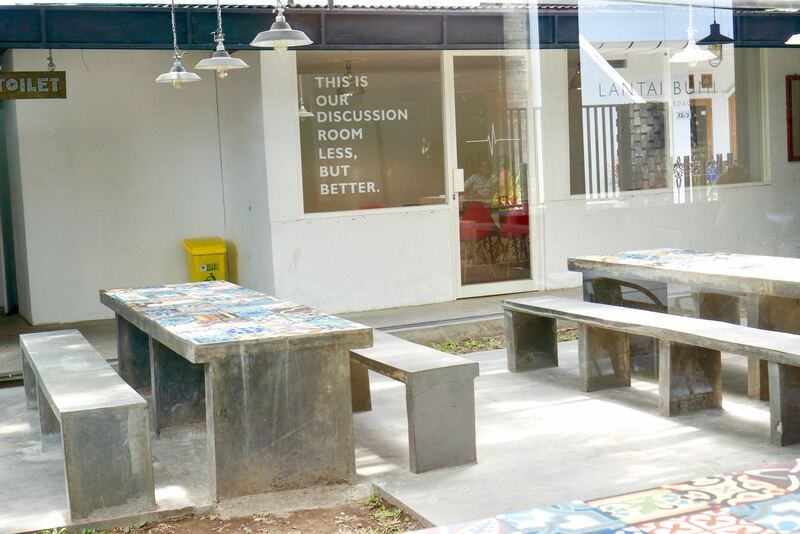 It caters more towards the local crowd of university students, both Indonesian and foreign. For that reason, you’ll find lots of space to set up a laptop. I ordered a cappuccino and Susan order a mocha and both were quite good, although not the best we’ve had in Yogya. And that’s the thing. 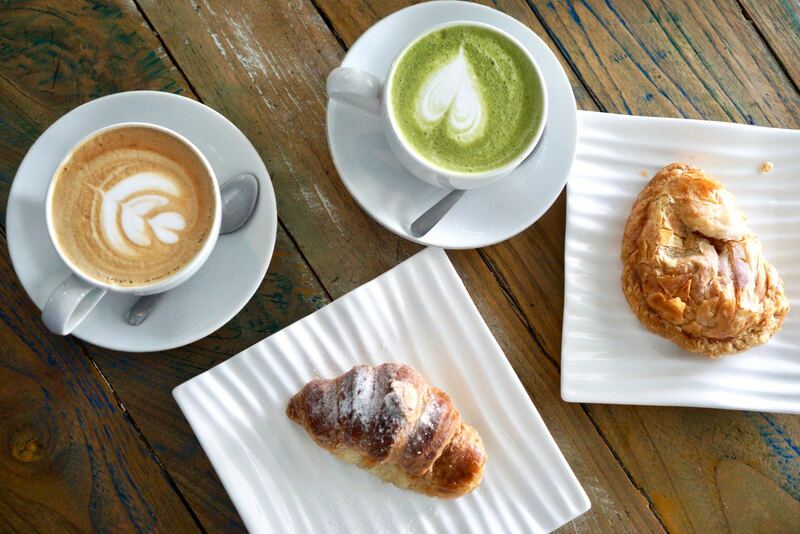 The more coffee shops you try, the more picky you come when judging your coffee. With that in mind, this is still a very good coffee and I’d be happy to come here again for it. Better still, prices are on the lower side of things. We also ordered the pisang goreng and a nasi goreng. Both were good for a light snack, although the banana was slightly more crispy than I would have liked. Again, not a big deal. Still nice enough. The interior of this place is quite plain, but has enough room to seat over 30 people in the non-smoking area and many more in the smoking section. All along the walls there are electricity outlets meaning it’s a great place to work. Especially since the wifi was quite fast at 20mbps down and 9mbps up. Perfectly uploading that vlog you just made. I think this is a pretty good place to come and get some work done, but also if you’re just after a decent coffee in the north of town. Good one. 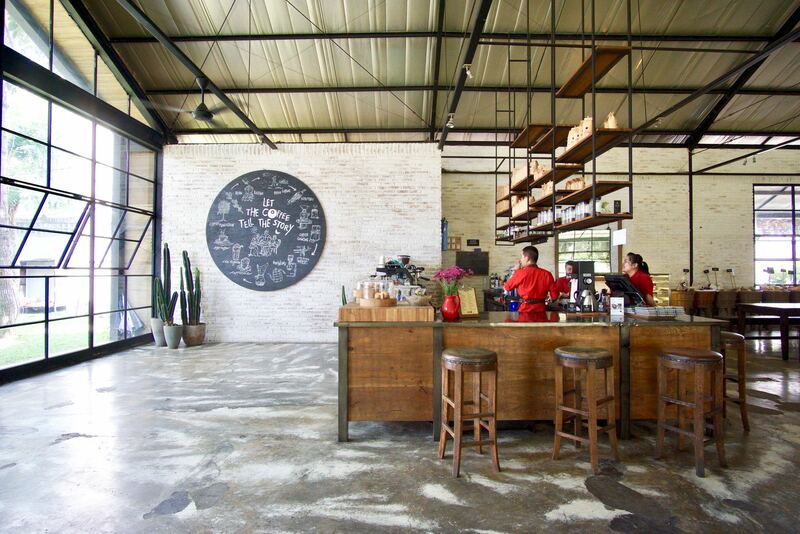 With staff and coffee straight from Noah’s Barn in Bandung, you know this place is going to be good. And it is. 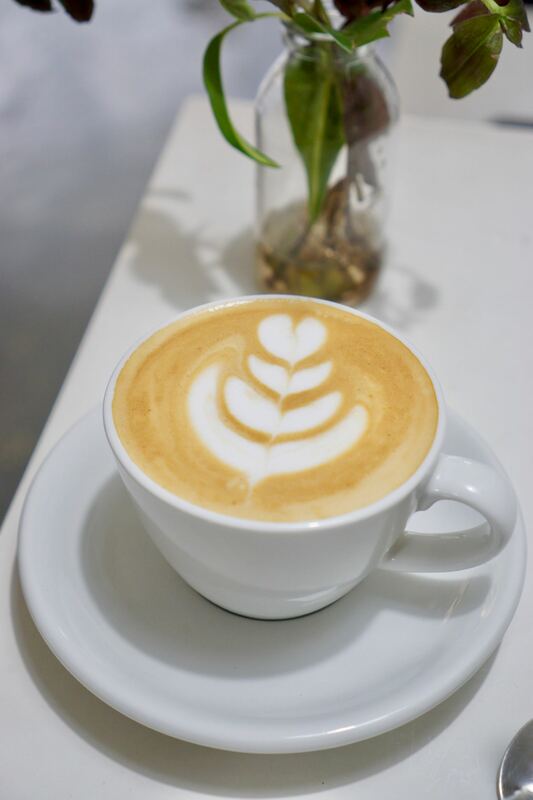 I tried a premium cappuccino with coffee roasted by Noah’s Barn and it was excellent. Definitely worth the extra 7rb. Susan’s ice lychee tea was refreshing and she was happy to have gotten 2 lychees in the drink. 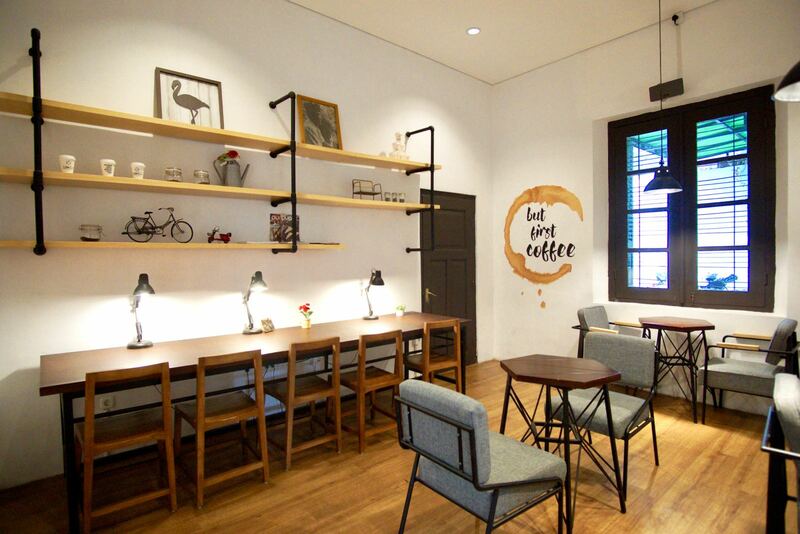 🙂 The interior of the coffee shop is quite small, yet stylish and pleasant for hanging out it in. There are a bunch of electricity sockets around the room and the bench area looks to be a particularly good place to open the laptop. The outside area in front of the coffee shop has a few bean bags and I saw plenty of people taking photos and generally doing the selfie thing. When I tried the wifi here, it barely worked. So if you plan to come here and work, maybe test the wifi before you decide to stay. All in all a very good coffee shop doing fantastic coffee at a reasonable price. Worth a visit for sure. 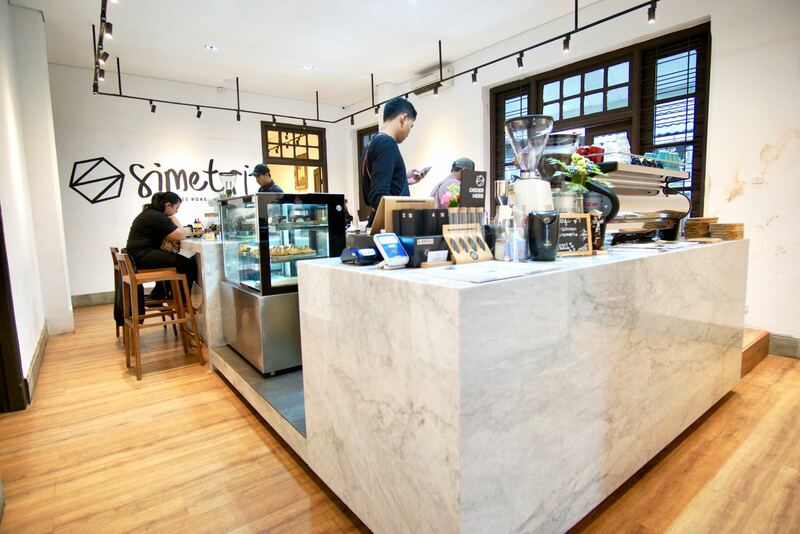 Before arriving at Simetri, I already knew the price of their coffees was sky high and I was skeptical about the whole place. I actually didn’t want to come here because I thought the prices were too high. But after having visited, I have to say it’s a very good coffee shop. The moment you walk in, you get a smell of some fake vanilla scent. Not sure what that is, but I found it to be unpleasant. But looking past the vanilla, you see an enormous old house with wooden floor boards and really high ceilings. Each room in the enormous house is set up for working and hanging out. And the tables are not tightly crammed in, so you feel you have your own personal space. The tables and chairs are quality. The chairs in particular are really comfortable and I could sit on them for hours while getting some work done on a laptop. And many people do do this. I tried a cappuccino and it was excellent. Every bit as good as the one I had in Blanco… and maybe a shade better. But when you get to this level, I actually find it hard to distinguish between what’s the absolute best and what’s number 2. Nonetheless, it’s a fantastic coffee and ranks as one of Yogya’s best. Susan’s tea was fairly standard, but what I liked was that the pot they served was quite generous. It’s hard to feel like you’re getting good value for money with tea, so the least they can do is give you a large pot of it! Good one. The wifi here is slightly disappointing. It clocked in at 2.5mbps down and 2mbps up. That means it’s fast enough to upload a 3 or 4 min youtube video, but not really fast enough to stream youtube in high quality. It’s definitely usable, but I think they should upgrade this to ensure customers are happy with it. 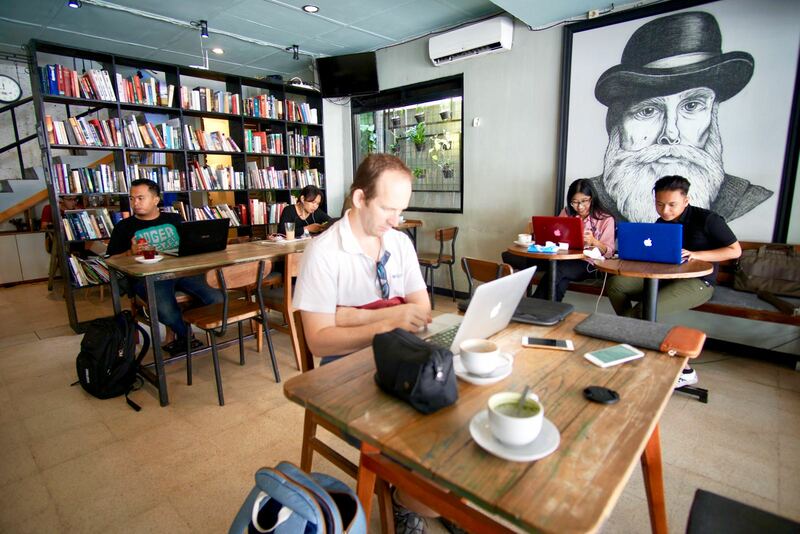 The wifi aside, an awesome coffee shop rivalling any I’ve visited in Indonesia. Love it. What a fabulous cafe on the north side of town, away from the main tourism hustle and bustle. 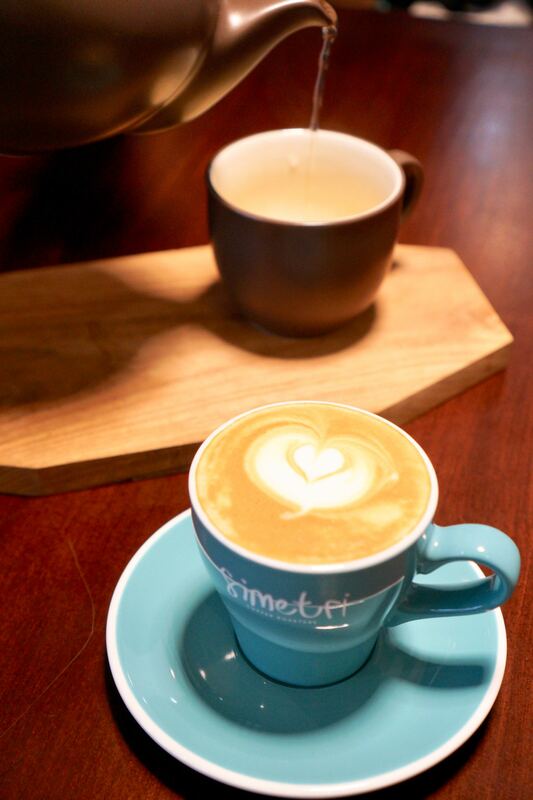 Great coffee and relaxed vibe. 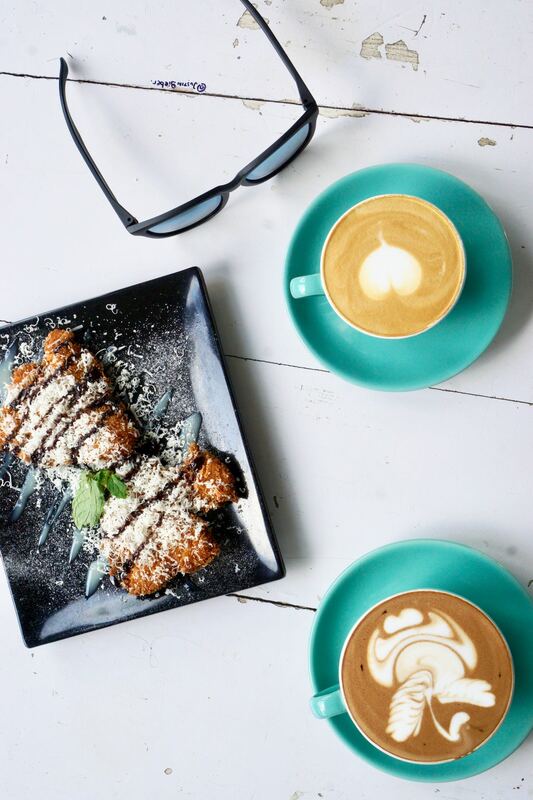 As most of you will know, I’ve been reviewing a lot of cafes in Bandung in recent times, so I know what I like and what I don’t. It really is hit and miss. But this cafe hits the mark perfectly. Firstly, the interior is excellent. Because it’s located in a wide old house, you get a lovely wide window frontage which lets in a lot of light. 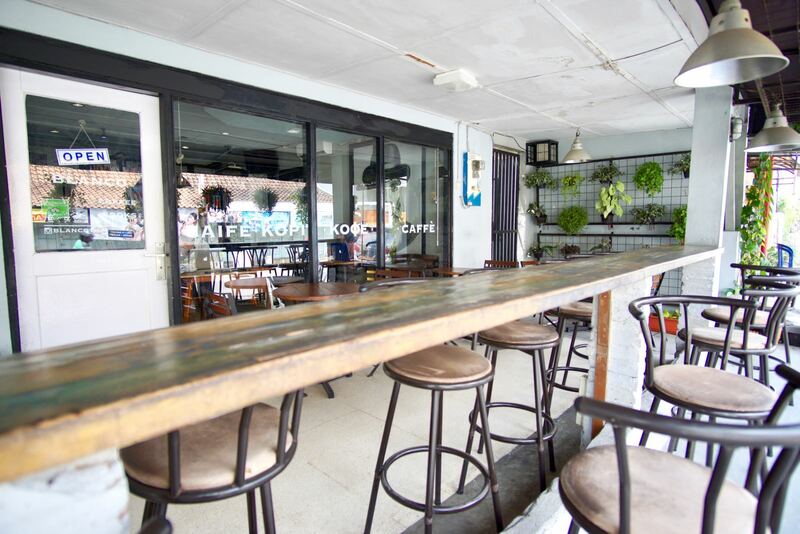 It also means you get a different set up for the bar area than you would in Bandung. It’s different and I like it. There are plenty of tables to work from plus a lounge area. Wifi clocked in at 25mbps down and 5mbps up when I tested it out. It felt quite snappy and downloading the latest Game of Thrones episode would be a breeze. I ordered a cappuccino and it was the best one I’ve had in Yogyakarta so far. It’s actually going to be difficult to beat, but that’s really just me saying that this is a top coffee whether it’s number 1, 2 or 3 on the ranking list. The almond croissant I had was a little disappointing. Bready and a little soggy. It was old school indonesian pastry at its mediocre best. The apple turnover was much better and had a bit of crispiness to it as well as great apple flavour inside. I sometimes wonder how one pastry can be so good and one so bad. Is it a matter of freshness? Not sure. 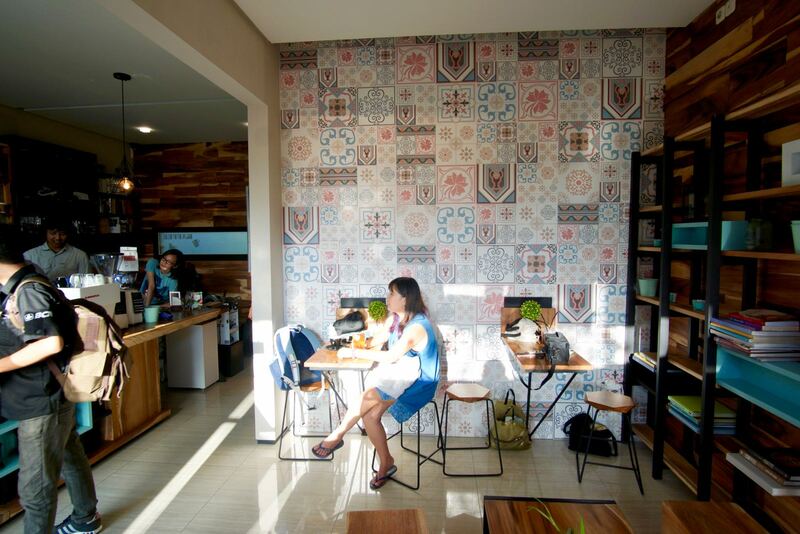 All in all, a great little cafe to check out when you’re in Yogya. 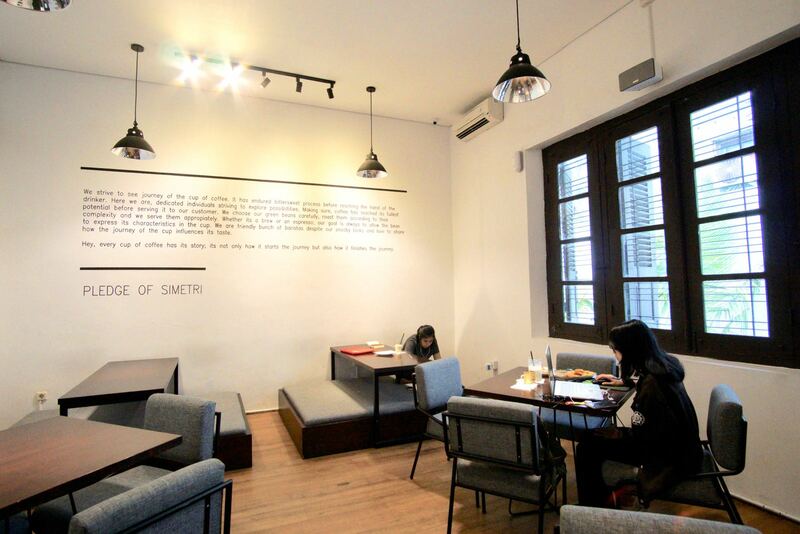 Ruang Seduh (brewing room) is a small, yet stylish coffee shop in the southern part of town not far from Prawirotaman. 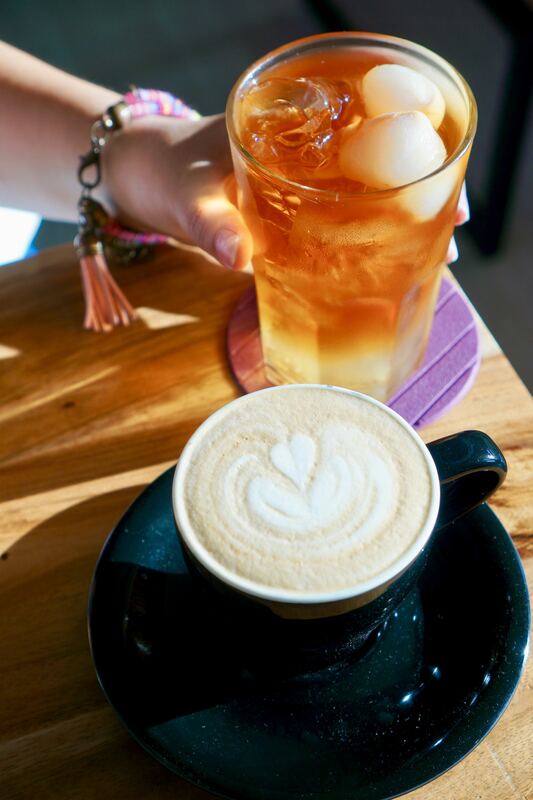 They do a range of fantastic espresso coffee drinks as well as some tea which rival some of the better coffee shops in Bandung and Jakarta (they actually have an outlet in Jakarta as well). I tried a cappuccino and the milk was steamed and textured to perfection and the coffee taste was quite strong. A double shot? Not sure, but it was awesome anyway. Susan had the loose leaf green tea and she enjoyed that too. Can’t really get too excited about tea, right? 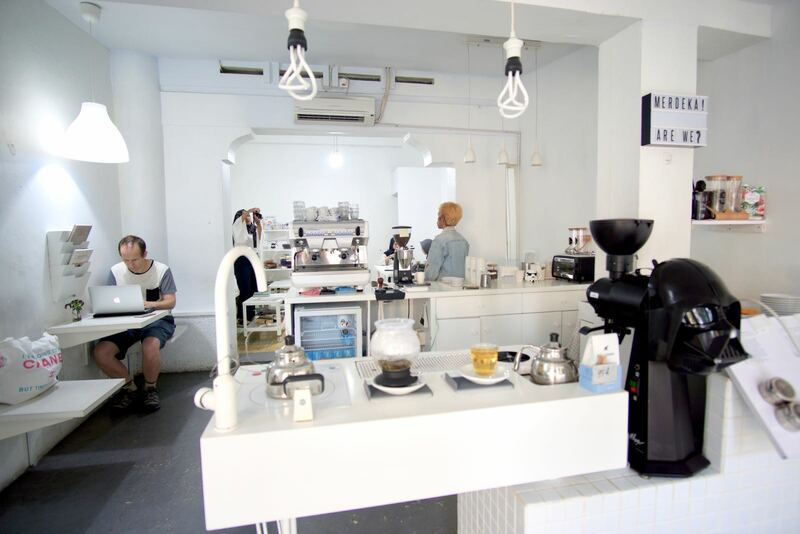 The fitout of the cafe is very simple, but whoever designed it has an eye for what looks good. 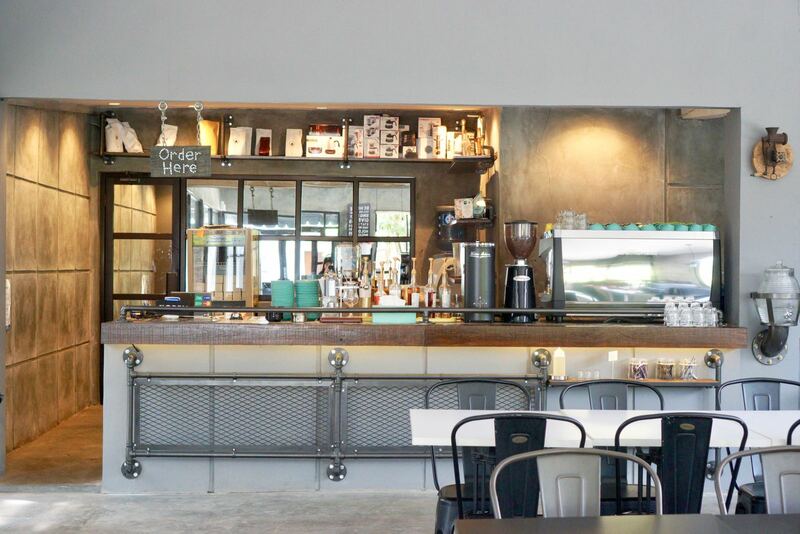 Lots of white and a large polished concrete floor which puts most of Bandung and Jakarta’s coffee shop interiors to shame. Prices here are high. I kind of object to paying Rp35.000 for a coffee outside of Jakarta. And for that reason alone I don’t rate this place as highly as I otherwise would. The price is just that steep. 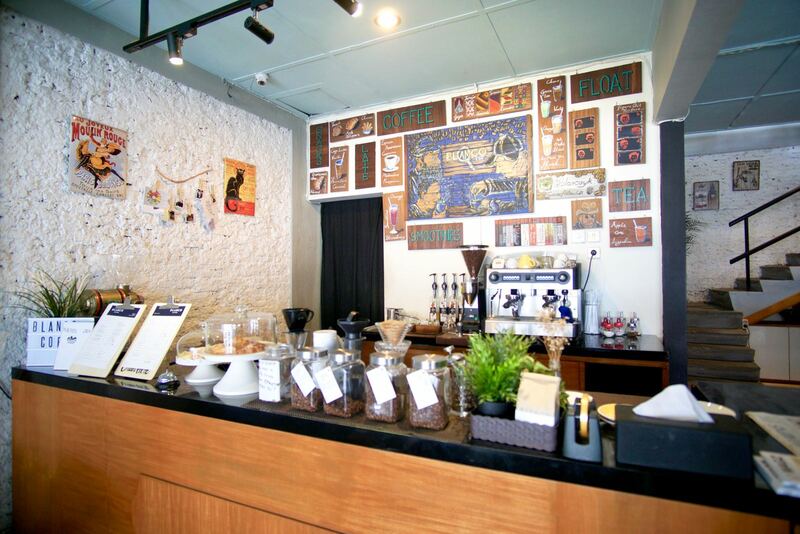 Aside from the steep price, everything else about this coffee shop is awesome. 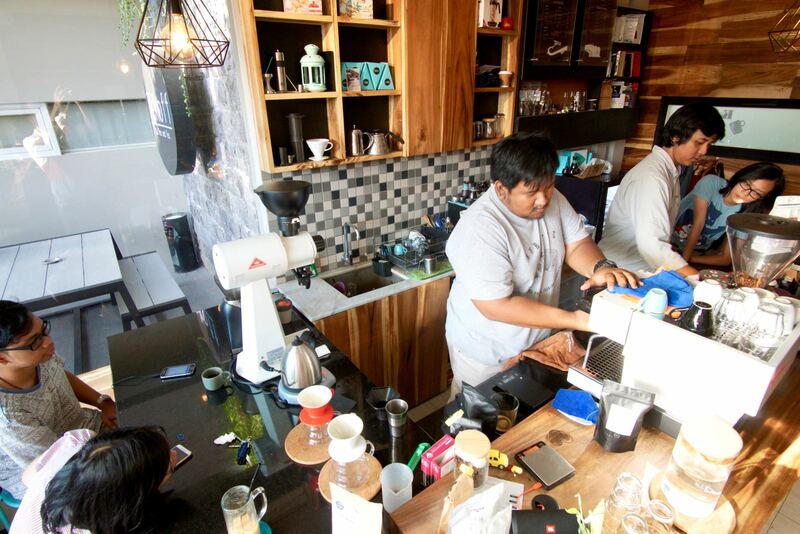 Definitely worth a try if you’re interested in coffee shop hopping in Yogyakarta. When I tested the wifi it went at 10mbps down and 1mpbs up.